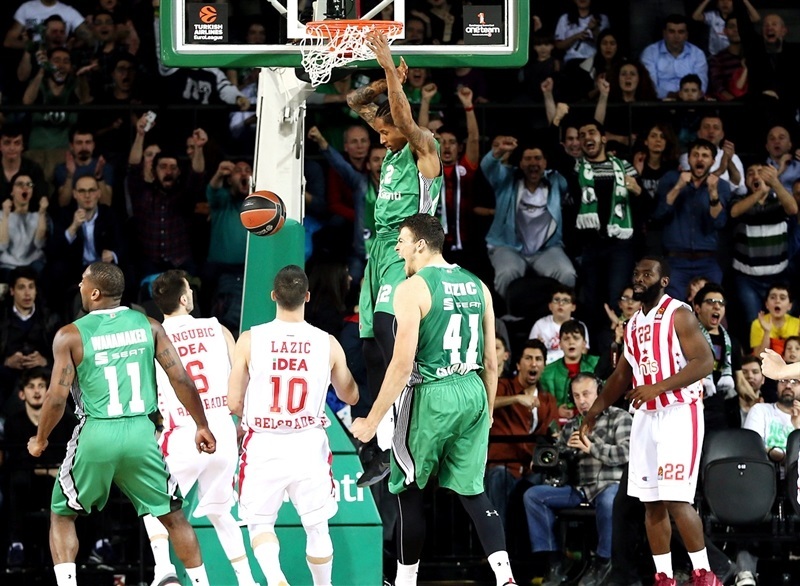 Darussafaka storms behind Wanamaker into playoffs! Darussafaka Dogus Istanbul is going to the Turkish Airlines EuroLeague Playoffs for the first time after winning 78-62 against visiting Crvena Zvezda mts Belgrade on Friday for the last open berth! Both teams finished with 16-14 records, but Darussafaka took eighth place thanks to beating Zvezda in both of their games. 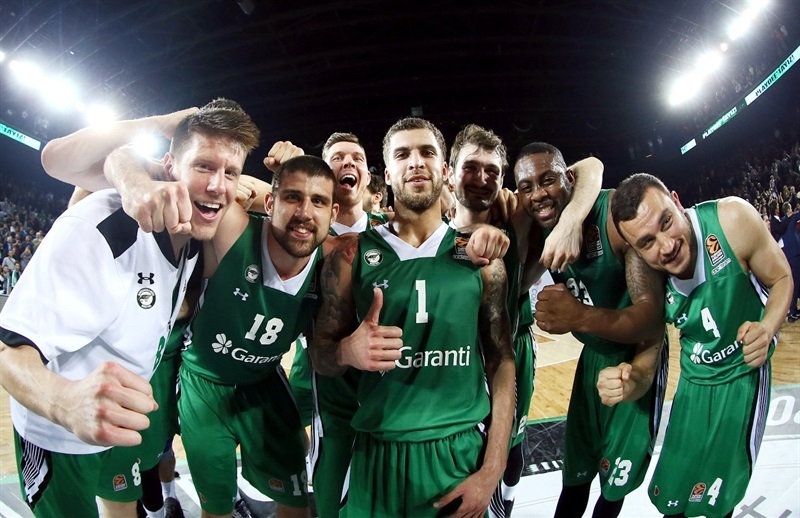 Darussafaka will face first-place Real Madrid in a best-of-five playoff series starting in less than two weeks. 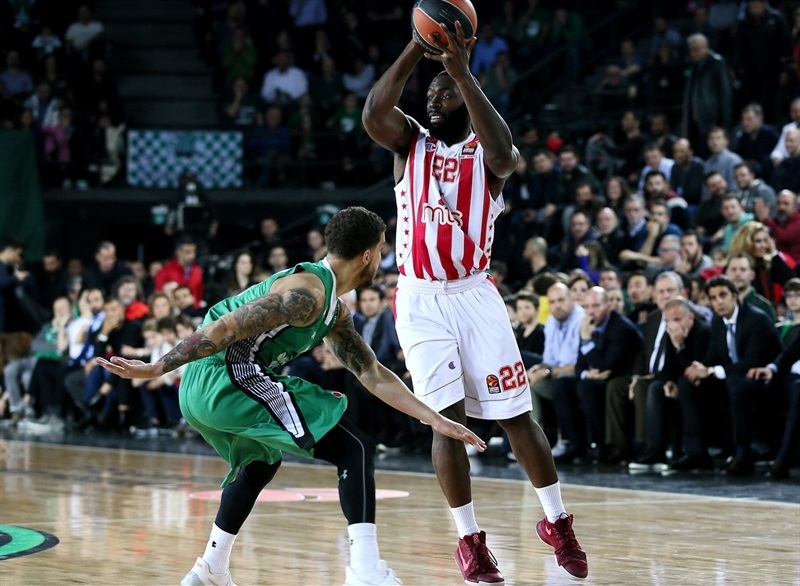 A 10-0 start to the game signalled Darussafaka's resolve and the hosts led by double-digits much of the night. 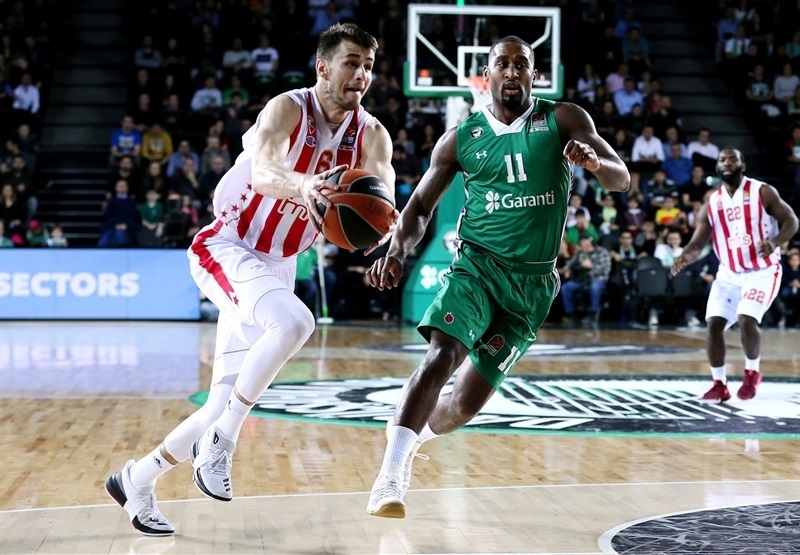 However, a 5-17 third-quarter blast by Zvezda cut the difference to 52-49 before Darussafaka relocated its offense and pulled away in the fourth quarter to victory. 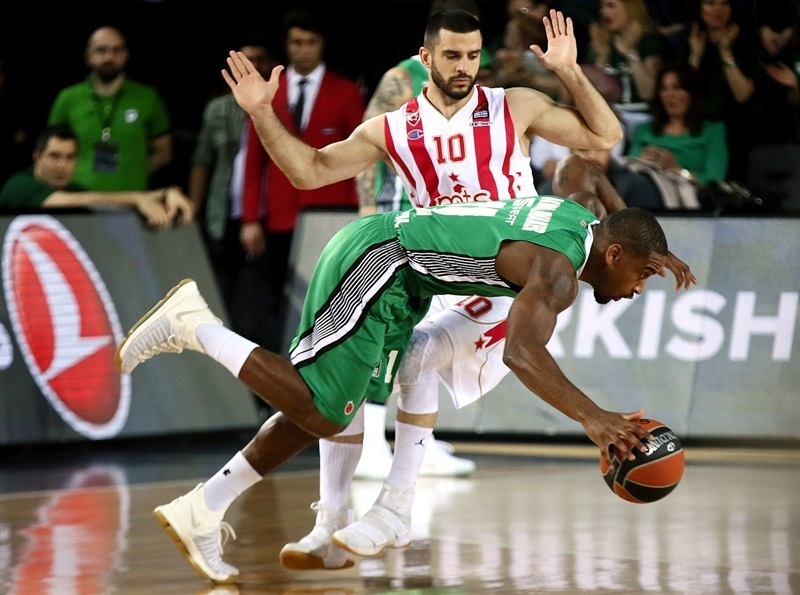 Brad Wanamaker again led Darussafaka with 22 points to go with 5 assists and 10 fouls drawn. Scottie Wilbekin had 16 points, 6 assists and 4 steals. Ante Zizic had 11 points and 8 rebounds while Will Clyburn collected 10 points, 6 rebounds and 3 assists. Zvezda, which suffered greatly from 1-for-16 three-point shooting, got 14 points from Ognjen Kuzmic, 12 from Charles Jenkins and 10 from Marko Simonovic. Wanamaker drew a foul, drained a jumper and knocked down 2 free throws to open the scoring. 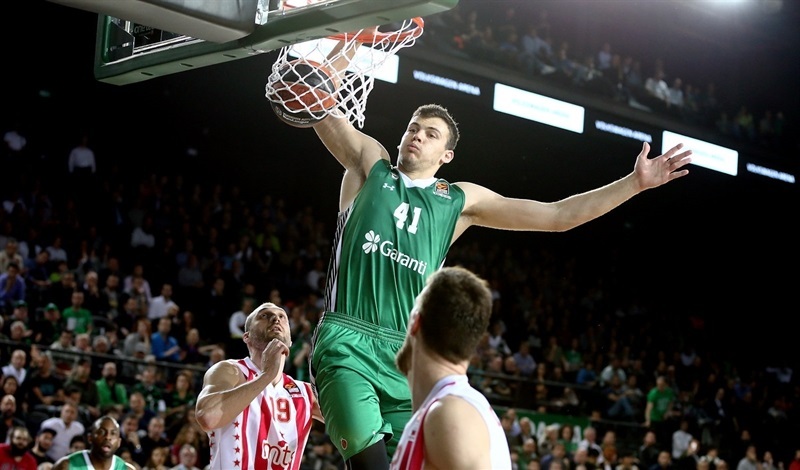 Zizic scored next for Darussafaka, then Wilbekin's steal set up Clyburn for a high-flying dunk. After a Zvezda timeout, Clyburn kept it going with a banked-in hook shot before Kuzmic finally got the visitors on the board with a dunk at 10-2. Nemanja Dangubic followed with a fastbreak layup plus free throw. Clyburn scored in close before Wilbekin rained a deep triple, the game's first, at 15-5. Lazic answered with a strong drive but Zizic did the same, finishing with a dunk. Dangubic hit a layup that Dairis Bertans matched before Kuzmic scored to make it 19-11. Wanamaker came back with a triple for a 22-11 lead, but it was answered by a Jenkins-to-Marko Guduric backdoor layup. Adrien Moerman was left open for a triple that closed the first quarter at 25-14 for Darussafaka. Simonovic opened the second quarter with a layup off an offensive rebound. Clyburn's high-arcing jumper and strong drive led the way for Wanamaker's transition three-pointer. 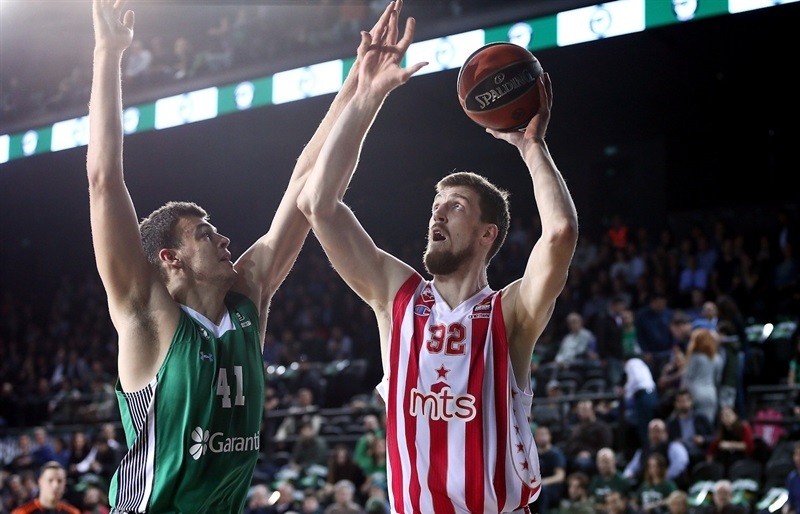 Zizic got Darussafaka its highest lead yet, 34-18 as Zvezda's shooting remained cold. Simonovic converted a three-point play before Wilbekin fed Wanamaker for a strong back-door slam. Simonovic made 3 of 4 free throws, Jenkins got his first points on a jumper and Dangubic got to the line for 2 more foul shots as Zvezda drew within 36-28. 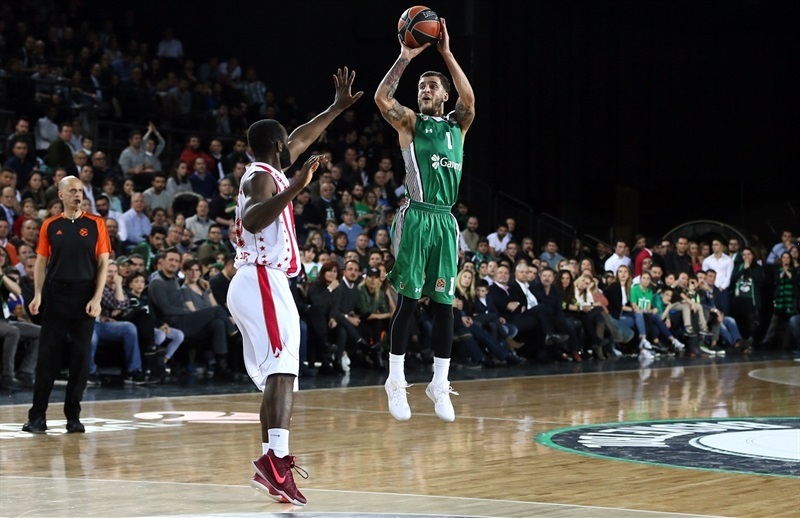 Wilbekin finished his strong half with with back-to-back threes, however, and Darussafaka pulled into halftime with a 43-32 lead. Wilbekin resumed scoring right after the break and Moerman joined him with a baseline spin move as the lead reached 47-32. Jenkins and Luka Mitrovic re-established Zvezda's offense with a jumper and put-back, respectively. Then Kuzmic's reverse lowered the difference to single digits, 47-38. Wilbekin came flying off a screen to hit a huge triple, but finally Zvezda got its first shot from downtown, off the hand of Nate Wolters. When Jenkins made a long two-pointer next, and the difference was down to 50-43. Wanamaker's free throws were answered with a put-back dunk by Kuzmic and another long jumper from Jenkins. Now it was Darussafaka who couldn't buy a basket as Kuzmic scored to close a 5-17 run by the visitors with the lead suddenly down to 3 points, 52-49. Bertans came to Darussafaka's rescue with a late layup and free throw as the hosts held a 55-49 after 30 minutes. 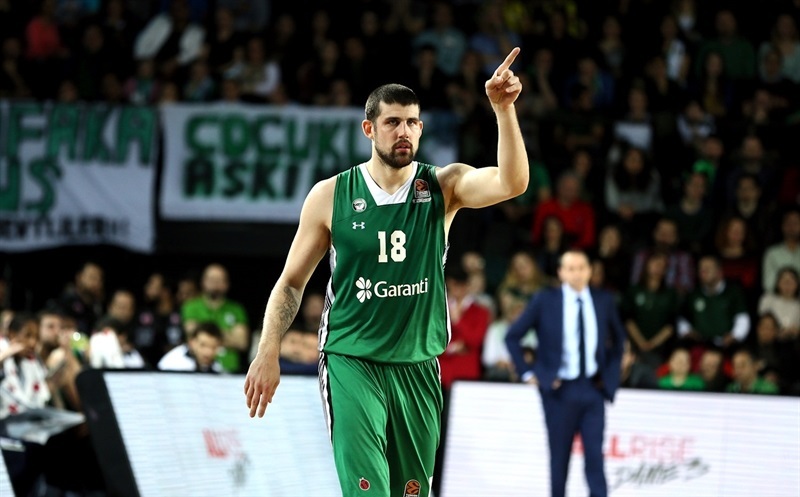 Dangubic opened the fourth quarter with a jumper, but James Anderson stepped up with a big triple for Darussafaka and Zizic slammed back a rebound at 60-51. Jenkins came out of a timeout and hit a layup before Clyburn found Birkan Batuk for a triple and another double-digit lead, 63-53. Jenkins scored again but Wanamaker flashed for a layup to make it 66-55. Kuzmic hit 2 free throws before Zizic turned a tipped pass into a layup and Wanamaker knifed through a tired Zvezda defense to up the difference to 70-57 with less than 4 minutes left. 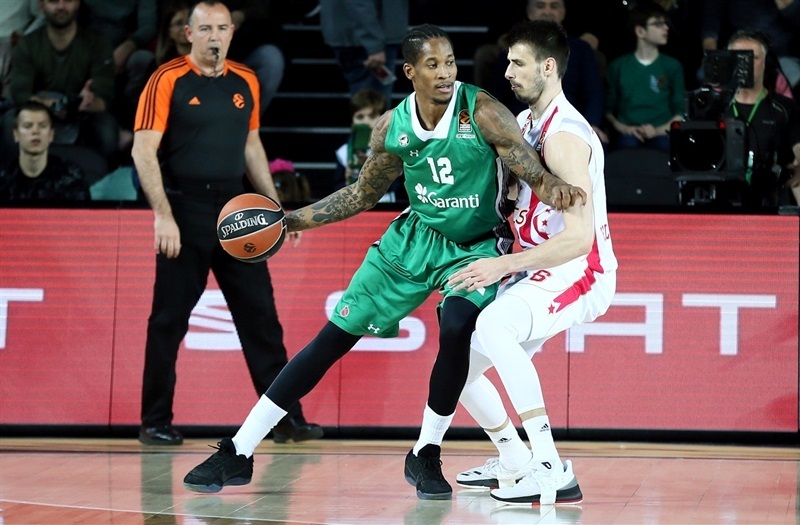 After feeding Anderson for a corner triple, Wanamaker made another huge layup with free throw at the one-minute mark to seal forever Darussafaka's first qualification for the playoffs! "It wasn't going to be easy. You've all seen Zvezda the whole year, how tough they have played every team, how competitive they are. 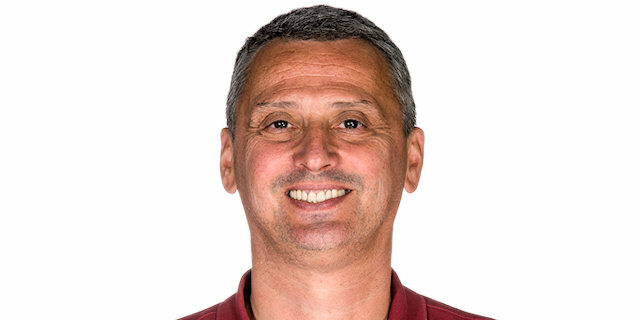 In the EuroLeague in general you are not going to find too many easy games, and certainly not a game of this importance. But you know I thought we deserved to win. 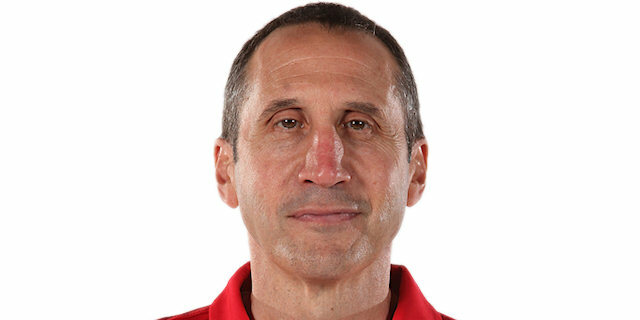 I thought we played great basketball, particularly on the defensive end, and for good portions of the game offensively, as well. We shared the ball. We tried to play like a team that wants to play together, and that's important. We were down and out a little bit. We lost just a brutal away game to Milan after being up 25, and everything kind of looked grey. We had to win a bunch of games in order just to be in a position to qualify. This is a momentous moment for this team. 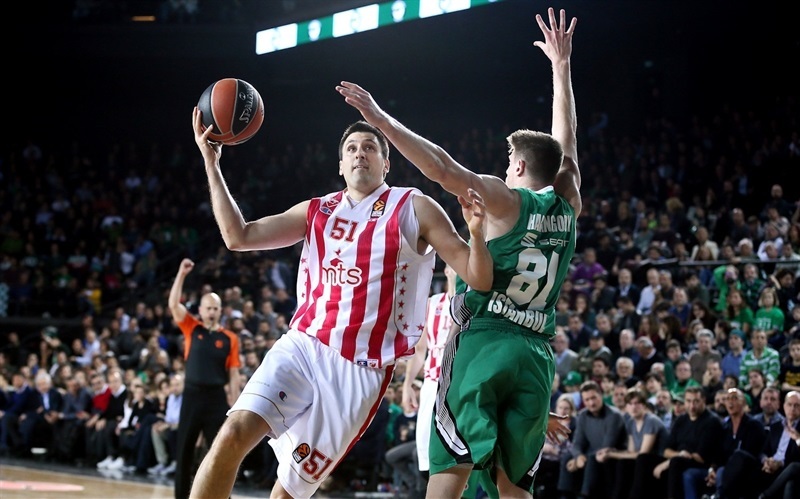 Darussafaka is not a EuroLeague staple. We're a newcomer. And to be amongst the elite eight in the best league in the world outside the NBA, that's something really special. I'm proud of our guys, I'm proud of our organization, and I feel that we've accounted ourselves well in this EuroLeague. We've beaten some very, very good teams and we deserve to be in the final eight. Obviously, Real was the best team in the EuroLeague this year, just a tremendously talented team. Pablo Laso does a tremendous job coaching them. They have depth, they have speed, they have size, they have athleticism. They also have the home-court advantage. But we have beaten them this year, and lost. So we got the right to come and play them and to play them with true heart and courage, and that's what we will do." 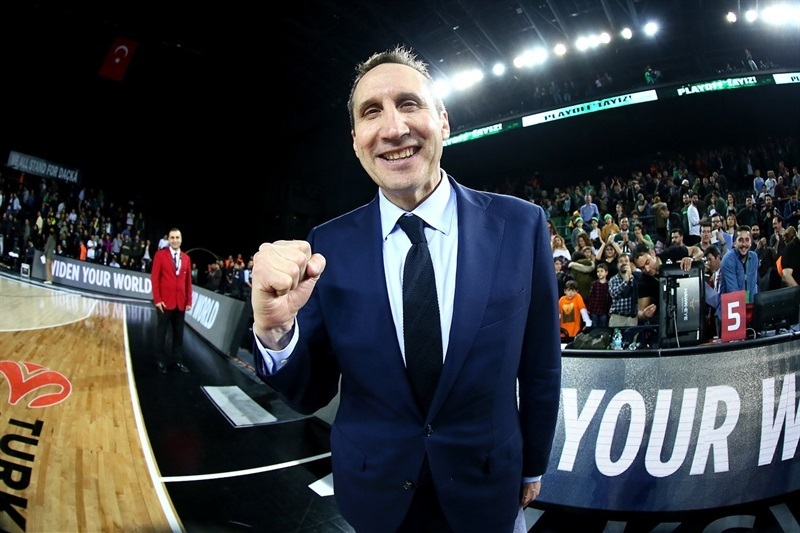 "Congratulations to Darussafaka. They beat us two times in the EuroLeague season and they deserve the playoff spot. We have 16 wins and that's a big success for us, but it was not enough for the top eight. I am very proud of my team. We played an excellent EuroLeague season this year. For the game, Darussafaka played well to get a 10-0 start. After that we tried. But we couldn't get the advantage, although we came close in the third quarter. We expected to have better three-point shooting than 1-for-16, of course. So I can only congratulate Darussafaka for the win."